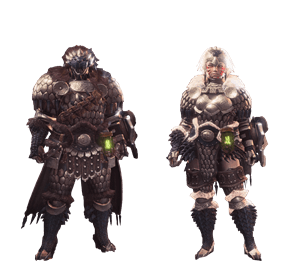 Bazel Alpha Armor Set in Monster Hunter World (MHW) is one of the several High Rank Armor Sets of the game. Sets are comprised of five different pieces, and can be complemented with Charms, Weapons and Mantles. Armor Sets have special effects when equipped, and combine Skills depending on the pieces equipped. Please see Bazel Beta Armor Set for another High Rank variation.